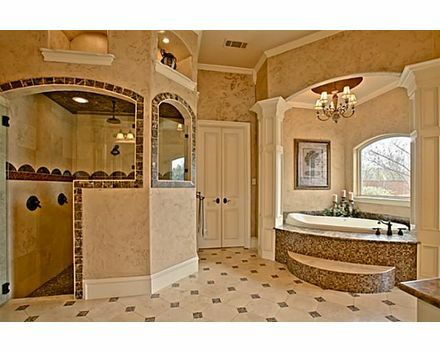 Dallas Bathroom Humor: Why Do The Rich Like So Many Bathrooms in Their Homes? 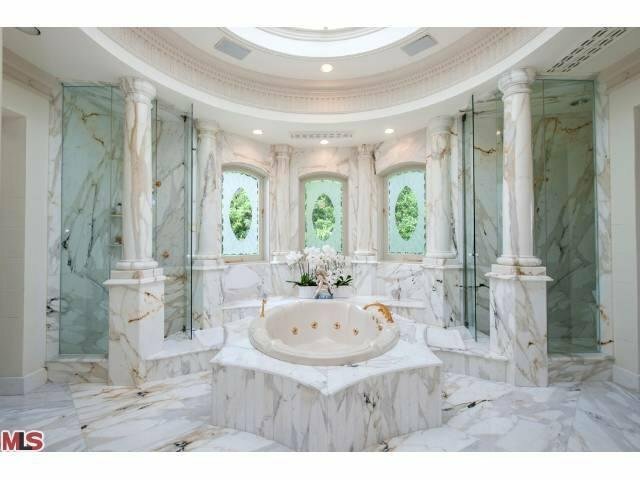 What’s up with the uber rich that they need so darn many bathrooms? Do they really drink that much water? My mantra is you can never be too thin, too rich, or have too many homes. So the idea of adding “you can never have enough bathrooms’ sounds quite delightful, actually. Seems like that is the mantra of very wealthy homeowners who now, Yahoo’s Ilyce Glink tells us, insist upon TWO BATHROOMS for every bedroom. So you have an 8 bedroom house, that’s 16 baths plus the powders. Personally, that doesn’t make sense. What does make sense is more powder rooms — for guests, for family members, even for the pets. 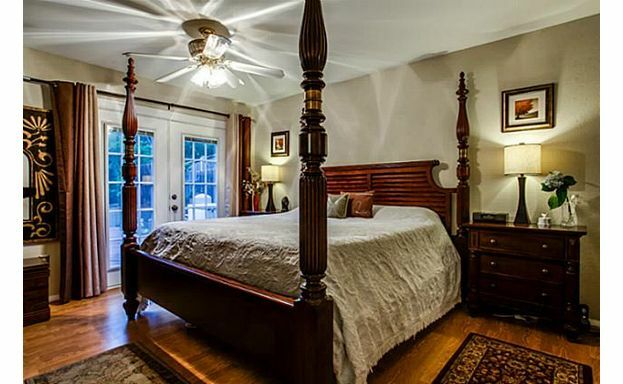 The Hicks do it right — 6 bedrooms, 7 full baths and 5 half-baths, or powder rooms. 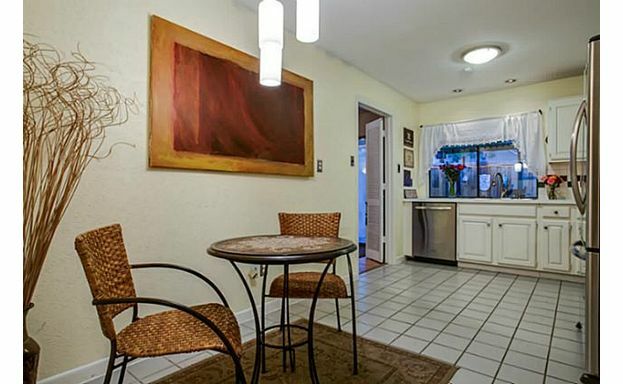 Brokers in Los Angeles swear this two bath per bedroom is the norm. I mean, maybe if one toilet breaks you have a spare, but I just think that would be too confusing: where do you keep your daily “stuff” — combs, make-up, lotions and medicines? Is one bathroom for actual use, the other for show and magazine shoots? The reason, says Ilyce, is that luxury homes are getting bigger. Hello! I swear I will punch the next writer who writes that the average American home is shrinking. It’s shrinking about as much as my rear. When you build, you just want bigger. Talked to a developer today who told me how he has tried to cap vacation home size in a nearby second home community to 5500 square feet of A/C space — plenty for a vacation home, a second (or even third home), right? He was trying to be sustainable. People are pushing the limits on that and building porches, breezeways, anything they can to get around it. 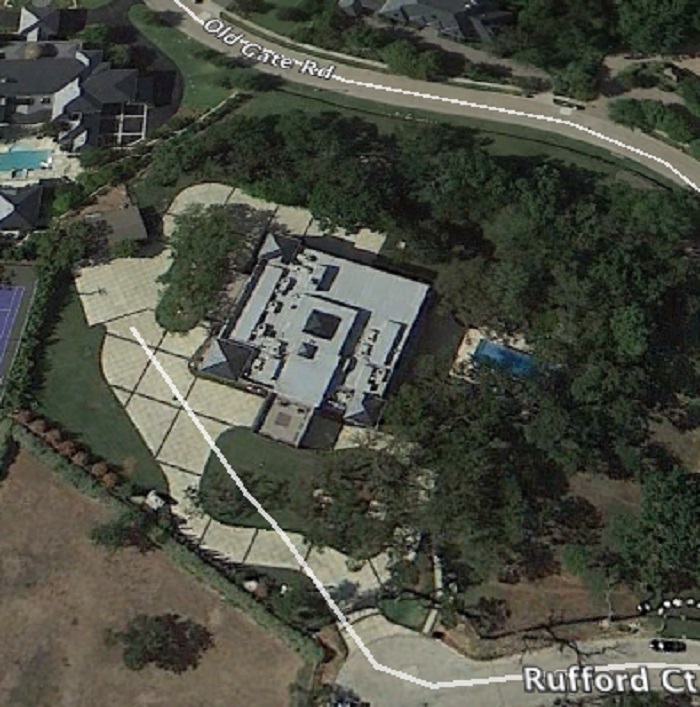 In LA, Scottsdale, and I hear even in Dallas, 20,000 square foot homes are not so rare any more. Mickey Munir has a stellar spec on Strait Lane: 15,000 square feet. Yes, I said spec. I am hearing about one I hope to present to you soon, now under construction: 40,000 square feet. Look at this huge spread up on Frankfort near the North Dallas Forty. There’s another gargantuan project off Lennox building a beauty salon off the master in a custom home — what a great idea and only what, 500 extra square feet? I’ll bet the beauty salon needs a bathroom! 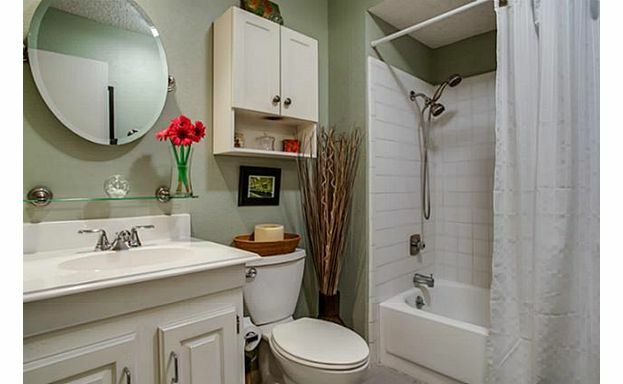 So the more space you have, the more bathrooms you need, lest someone have an accident on that limestone floor. Champ d’Or: 6 bedrooms, 5 and a half baths. The Crespi Estate: 6 bedrooms, 7 full and 5 half baths. Mt. 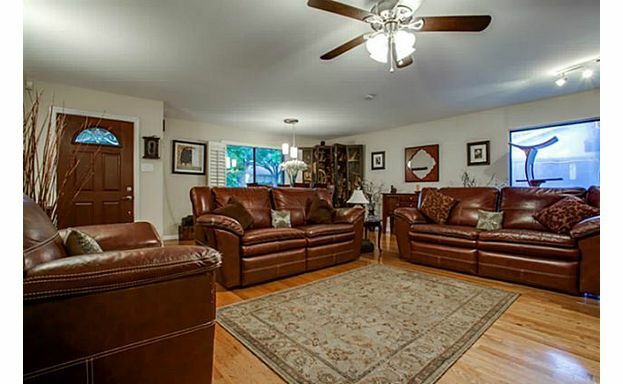 Vernon: 5 bedrooms, 5 full and two half baths. 4939 Manson Court: 9 bedrooms, 9 full and 4 half — this make sense. Dans Bois Crete: 6 bedrooms, 7 full and 2 half baths. 6508 Oldgate, Kings Gate (Plano): 5 bedrooms, 5 full and 1 half bath. The M Mansion: 9 bedrooms, 12 baths and I believe at least one half bath. 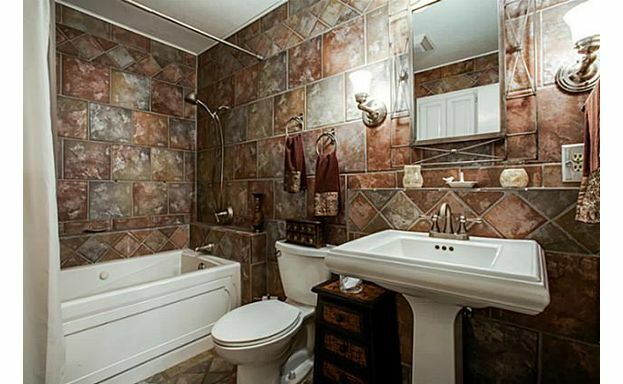 I may be a spoiled brat, but I think that for $200,000 ish in Dallas, you should be able to get 3 bedrooms and two baths, give or take a shower or tub in that second bath. That’s one of the things we look at here on CandysDirt.com. I don’t care if a home is 1500 square feet or 1200, but jam in there what people god dang need to live: 2 baths, three bedrooms and plenty of storage. I never, ever dream of asking for a pool, a deck, or enough room for a prize-winning rose garden. For $225,000. But there it is: 10918 Listi Drive, in Highland Meadows, a little north and east, but still in the Loop and not too far from the L Streets. Richardson schools. 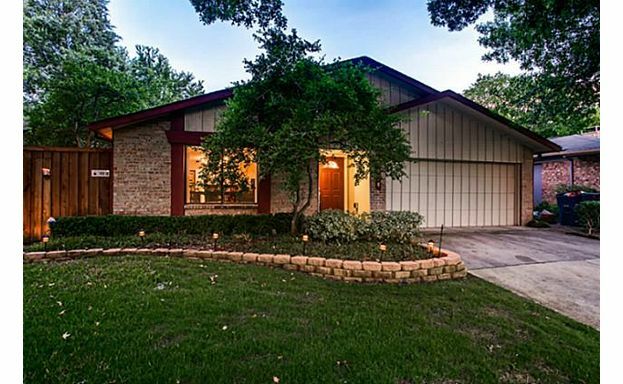 Built in 1981, you get 1548 square feet, three bedrooms two full baths, cute kitchen with oodles of storage cabinets, wood floors in the living and dining (the home is on a slab, like most of it’s neighbors), a fireplace, french doors from all three bedrooms going out to an in-ground swimming pool, covered deck, and steps down to a creek in your own backyard. Plenty of room for a rose garden! Now to be honest, since I’m such a brat, the kitchen is a little too white bright for me, but I would throw some new IKEA cabinets in here and call it a day. The kitchen already has the requisite stainless appliances. I’d even put in a little granite on those counters. I LOVE all the storage. The only thing I am not nuts about is having the laundry room in the two-car garage. I lived with this in a house for three years and it is just a pain. God, they must have been masochists in the early 1980’s: natural childbirth with no drugs, padded shoulders and laundry in the garage! I love the slurried brick on this house and the style, it’s just too cute. But really, honestly, that pool more than makes up for any negatives that I may be picking at. On a day like today every homeowner deserves to come home, take everything off and go skinny dipping. 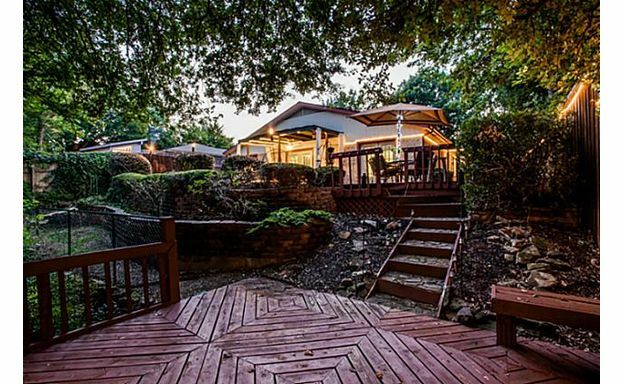 Buy This Ranch and You Will Instantly Become a Super Country Western Star??? That’s why, I guess the folks promoting this nice little ranch in Van Alystyne, Texas put this guitar crooner on the website for the ranch. Like, front and center. 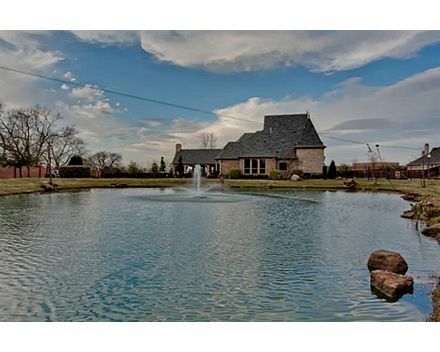 Five bedrooms, four and a half baths, this place is billed as 30 acres of a horse rancher’s paradise with an executive home, pool, hot tub, riding arena, stables, bunk house, and will only set you back $899,995. Kidding about the zip line over to Sean Payton’s, but not kidding one bit about this Southlake treasure. And yes, there is a zip line! I honestly cannot recall seeing a home this jam-packed with great goodies. I don’t even know where to begin to describe it all. 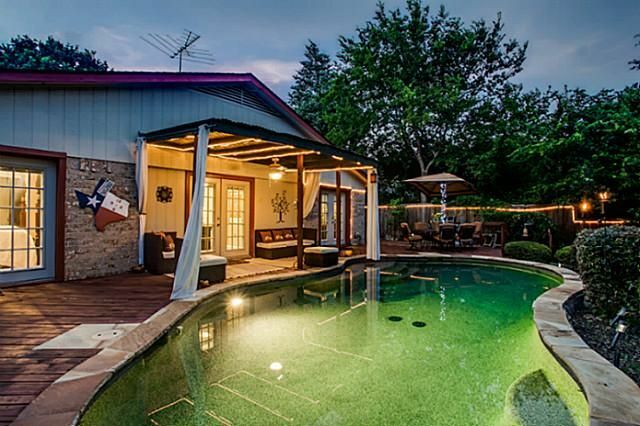 This 2100 Kimball Hill Court is like paradise for a family with kids. 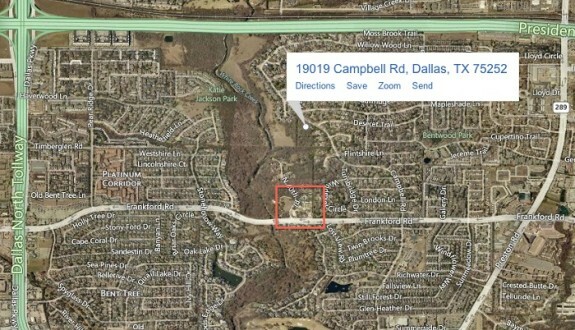 First of all, 1.3 acres in the coveted Carroll Independent School District. Cul-de-sac lot, 6616 square feet which is big but not monstrous. And yeah, the decor is very very “High Southlake” and in some places it appaers the molding genies were on steroids, but this home has so many possibilities in it’s bones. (And it’s soooo cheap.) There are five bedrooms, five and a half baths, four car garage stalls and one stall has two garage doors so you can run the equipment out to the back yard, which I have always thought so smart. Nice finish outs in the formals and great kitchen loaded like most of your Southlake homes — exotic granites triple stacked, top of the line appliances, pot fillers, yadayada. 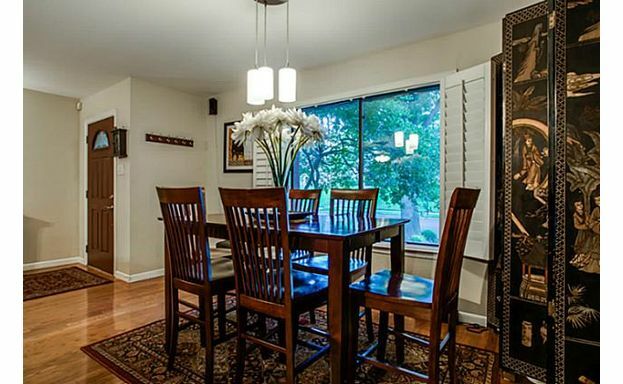 This home’s floorplan ought to be cloned: you have access to the kitchen pantry from the garage, how smart is that? I love a fireplace in the kitchen/breakfast room, even when it’s 110 outside you can look at it and pretend you are in Maine. The master: another examples of insightful architectural planning. 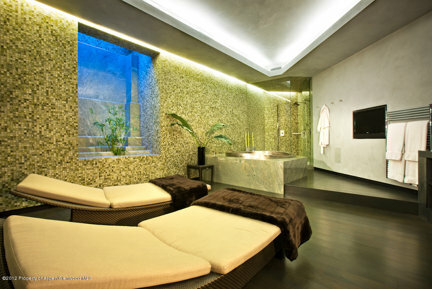 You have a 19 by 16 room plus sitting area, spa bath en suite but you also have an exercise room adjacent to the bath. Makes so much sense. 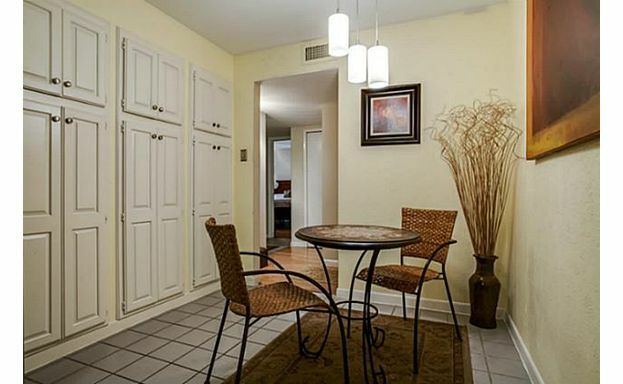 Guest room down along with library, wine cellar; up are three bedrooms with baths, game room with wet bar, media room. Two of the bedrooms share a secret “loft getaway”. 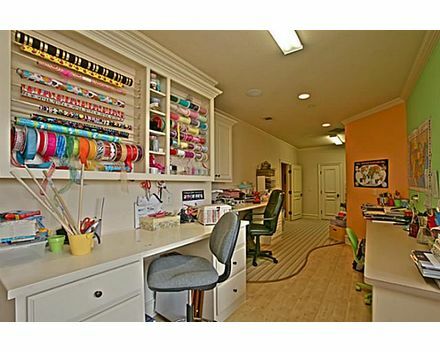 There is also a crafts room. Personally, that does it for me — who would need to venture one tippy toe outside. But you must: there is an amazing private Hurricane Harbor-like world that awaits you with heated saltwater pool, outdoor kitchen with fireplace, stove, grill, fridge, warming drawer and built-in cold drink server. This all over looks a private pond stocked with largemouth bass, croppy, and more. Finally, yes, there is that zip-line. I’ve heard they are much safer than trampolines and if you fall the only ones who might get hurt are the fish! Really, a zip-line: who’d have thunk it? And $1,445,000? A little over the top, but really an effing bargain! 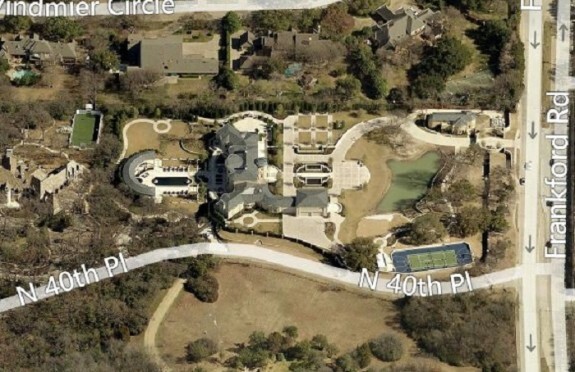 Where Khloe and Lamar Will Be Living In Dallas: You Won’t Believe It. Well, Maybe You Will! Agents, put down your tools and snap those ipads shut. Looks like Khloe and Lamar only want to lease in Dallas. Sources tell me that an agent “representing a Mavericks player” called over to the Azure today asking if they had any three bedroom condos for lease. Unfortunately, they do not. They have some nice two bedrooms — one on the 18th floor, another on the 23rd, so maybe take two, one for Khloe and Lamar, one for brother Rob? But I have another idea. I also hear that a call might have been made to the agent, darling Babs Holder, representing Greg A. Brady’s (i-2 Technology etc. etc.) 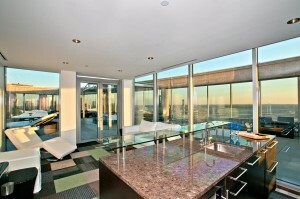 penthouse up there across from Deion Sanders. Sorry kids, Deion’s place is all leased up. Now from what I hear, Greg doesn’t really want to lease his 5025 square foot custom-out-the-wahzoo $7 million penthouse, and who can blame him? What with all that custom designed everything from the wine chiller to audio to the master bedroom with the TV that lifts up out of the cabinet and a very James Bond-like hidden chest that, at the touch of a button, comes up holding a bottle of wine and two glasses. No, this place has too many gadgets to break. Still, it might help change Khloe’s mind about Big D.
Khloe, I’m told, is really not too keen on living in Dallas, no matter how smiley a face Lamar tries to put on it. A source told me she won’t be here much, just enough to be a supportive wife. 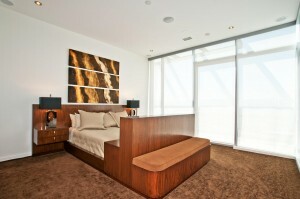 But they want a place close to Victory, they want at least 3 bedrooms, and they really like the Azure. Who doesn’t? Timing is so bad: they could have leased Terrell Owen’s spread before he let it go for a short sale. Still, arms can be twisted, often with a lot of money, honey. This home is a short sale, and cheaper than renting. The owner is perfectly serious when he says, bring on all offers. Like, we mean ALL. Currently priced at $475,000, this home is amazing and practically brand new, though it was built in 1998. In fact, my first question was: does anyone live here? You get almost 3000 square feet, three bedrooms, three and a half baths, generously-sized rooms with beautiful mill work and wood trim, a steam shower in the decked-out master bathroom, a wood-paneled library, glorious granite and stainless kitchen, you can walk almost anywhere for food, exercise or fun while the two car garage holds your autos. Listed wth Kimberley Gromatzky at Dave Perry-Miller Uptown, I just cannot believe, CAN NOT BELIEVE the asking price: $475,000. 4322 Throckmorton, check it out, FAST!